Yes, we were so delighted to have our long, long time friend, Virgie Henningsen come to Mission Central from Denison, Iowa and make a special visit on November 14th, 2018! Being the real MISSIONARY that she is, Virgie was delighted to bring the Honorable Ron Arbustini all the way from Costa Rica Central America. 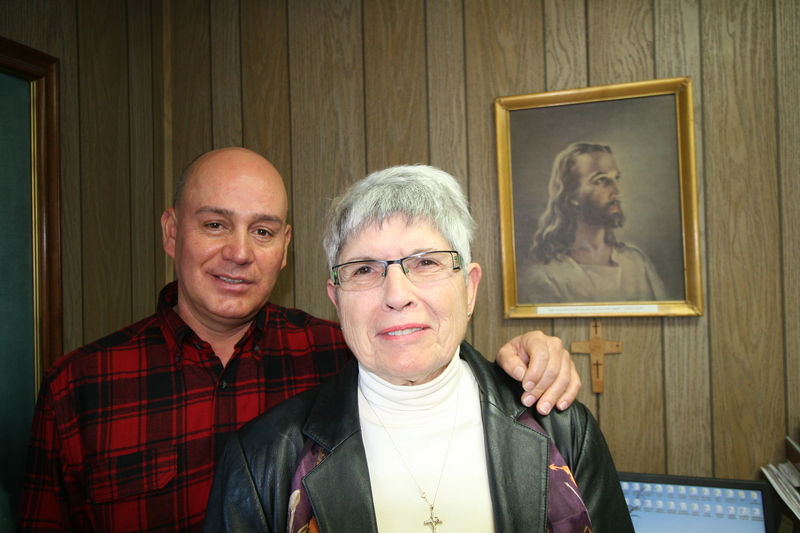 Ron was an “exchange student” who 32 years ago came and spent time with Virgie and her family! 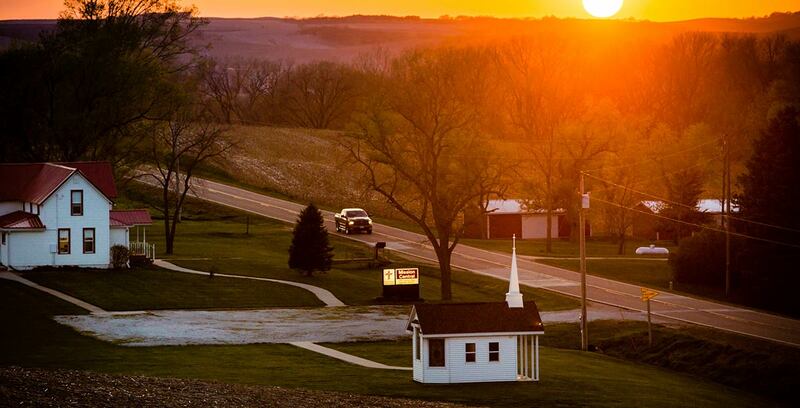 Now, after all these years, Ron, wanted to come and see “his family” in Denison, Iowa and what a blessing that Virgie brought this special man to come and visit the world famous Mission Central….. Here you see Ron and Virgie in front of our Boss here in our office. It was such a blessing to have them come and see this MIRACLE PLACE!